Like film, music, and novels, one way to grow as a game designer is by immersing yourself in the respective entertainment medium. Do you want to be a better writer? Are you an aspiring musician or movie director? Don’t stop listening to music and watching films– preferably what people consider to be the best of its kind. Becoming a better game designer is no different. You should be playing games, both bad and good, to study what elements work and don’t work. However, for the longest time the big difference between videogames and the other forms of entertainment mentioned above was the number of available books to help future game designers. Things have changed now that plenty of excellent game design books are around to provide more knowledge of what it takes to create games. 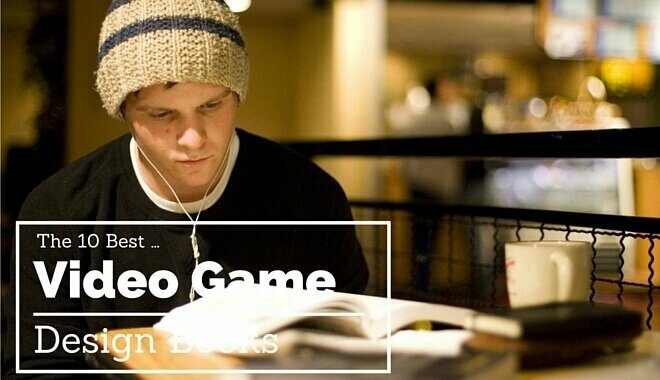 We hope you find the perfect one for you as you look at our list of the 10 best video game design books (in no particular order). 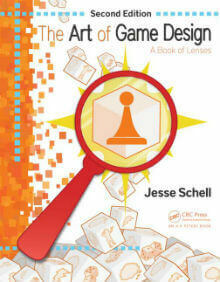 The Art of Game Design is a unique book in that it emphasizes studying game design from several different perspectives. Calling these perspectives ‘lenses’, the author covers basic game design principles that are useful for games of all genres and platforms. The reader is then asked to consider challenging design questions (more than 100) that arise from looking at a game through a specific perspective, forcing you to think about how other people would see your game. The book also leads you through the game design process while analyzing each step a designer must take to build their ideas. The author, Jesse Schell, is an award-winning designer of Disney online games and once served as the chair of the International Game Developers Association. In other words, you can rest easy knowing that this book was written by someone who not only has plenty of game design experience but was very good at it as well. The book also comes with plenty of references to successful games along with useful illustrations that clearly present design methods and techniques. 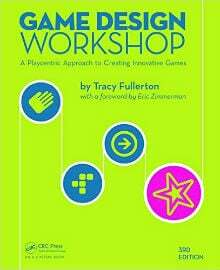 The author, Tracy Fullerton, is a game designer who leads the Game Innovation Lab at the Interactive Media Division of the USC School of Cinematic Arts. 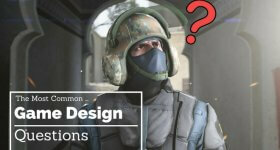 The Ultimate Guide to Video Game Writing and Design is a must-have for any aspiring game designers who also see themselves deeply involved in the storytelling side of development. Readers will learn the advanced techniques and knowledge needed for integrating story into any game to craft a captivating, emotional experience. Topics covered by the book include writing the story, game script, game bible, design document, and technical content for your game. The authors are Flint Dille and John Zurr, two experienced game developers who also added samples of their own work for readers to learn from. Level Up! 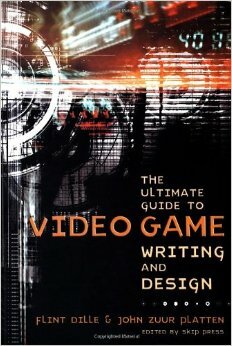 is perhaps one of the best choices on this list to have as a first game design book. The author provides plenty of attractive cartoon art that helps present his ideas in way that’s both approachable and instructive. 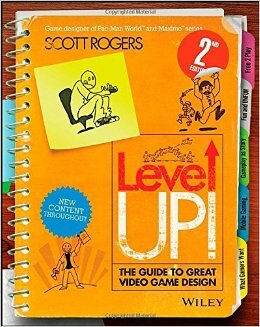 While Scott Rogers doesn’t have the same relevant professional experience as authors of other game design books, he nonetheless does an amazing job of taking readers through game development from start to finish. If you want a game design book that trades lengthy theoretical language for delightful illustrations, look no further. 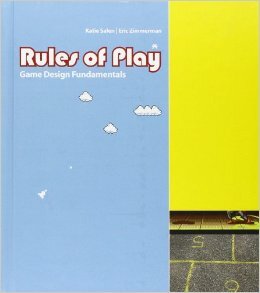 If there’s one book you can expect to be assigned while studying in a college game design program, it’s Rules of Play. This thick, somewhat intimidating book is one of the best sources of knowledge when it comes to concepts and methodologies for anything from board games and video game to even sports. Similar to “The Art of Game Design”, readers will look at games through a series of perspectives such as games as a storytelling medium, site of cultural resistance, system of emergence and information, and more. The authors, Salen and Zimmerman, are both experienced game developers who have served as professors at top institutions like DePaul, MIT, and Parsons School of Design. 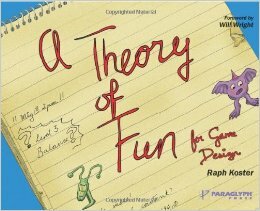 The complete opposite of our previous entry in terms of size, A Theory of Fun for Game Design is a small but effective game design book that challenges readers to figure out why games appeal to human beings. Included are colorful full-page illustrations as well as a deep examination of modern video games to figure out why some are boring and others can be enjoyed for years. Raph Koster, the author of the book, is a veteran game designer who has worked on big hits like Star Wars Galaxies and Ultima Online and served as creative executive at top companies like Disney Playdom and Sony Online. Although something of a ‘sequel’ to an earlier book, this Fieldbook is nonetheless an excellent read all on its own. It offers a step-by-step approach to utilizing the ideas and techniques from the first Gamification book with examples, worksheets, and other tools useful for learning. 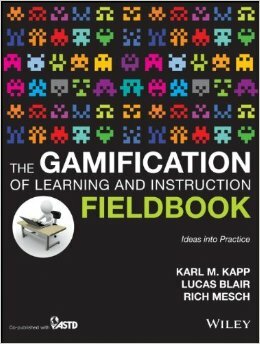 The authors of the book are Karl Kapp, a professor of Instructional Technology in Bloomsburg University, Lucas Blair, founder of serious game studio Little Bird games, and Rich Mesch, an expert with 25 years in the field of experiential and contextualized learning. 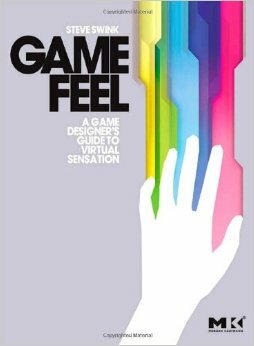 A unique entry on this list, Game Feel attempts to give readers a look at how game designers create “feel”, the meta-sensation of a player’s involvement with a game. Topics such as human perception, sound, the use of metaphors, and ancillary indicators are covered to help reveal their importance in crafting a captivating digital world. There’s also a website designed to compliment the book by providing playsets with tools that demonstrate the importance of virtual sensation components. Game Feel also concludes with an interesting take on some of the possible developments of game sensation yet to be utilized by developers. 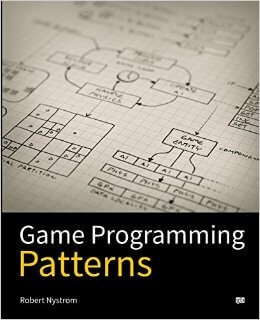 Game Programming Patterns is a book we’d obviously only recommend to aspiring game designers who want to break into the industry as a programmer. This popular book not only motivates readers to actually complete their games but also provides insight on game loops, scripting engines, design patterns, and other technical areas. This book was written by Robert Nystrom, a programmer with twenty years of experience. He has shipped titles on major platforms such as DS, Gamecube, PC, Xbox, PS2, and Xbox 360. This fantastic book does more than cover game design techniques and methods– it addresses how to actually grow as a game designer and get better with every project. As the title suggests, readers take on challenges that offer hands-on learning without the need for art or programming skills. 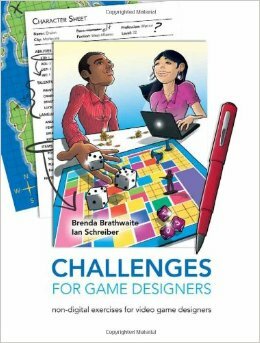 Challenges for Game Designers was written by Brenda Brathwaite, an award-winning game developer with more than 30 years of industry experience, and Ian Schreiber, a game design professor at Ohio University who has also helped program and design several published game titles.